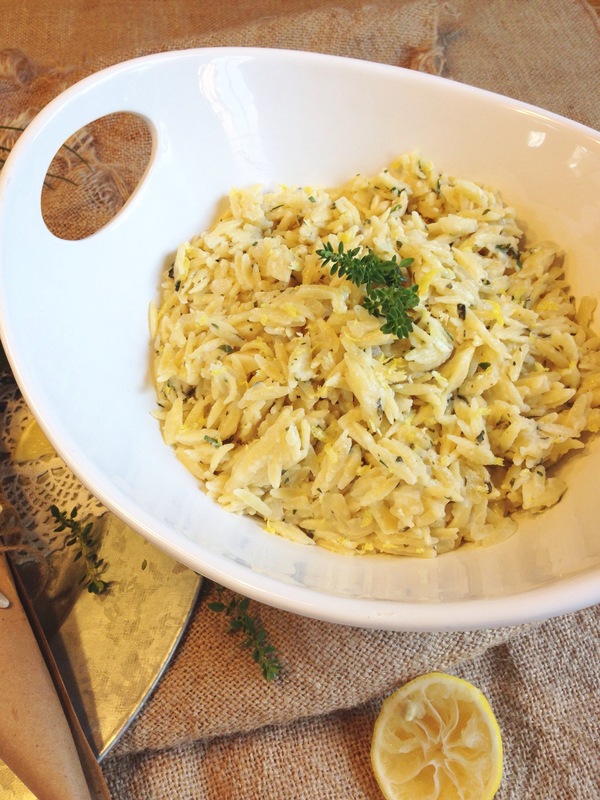 This lemon herb orzo is the perfect side dish with any meal! It’s great for a BBQ, a potluck, or even served with a yummy sandwich. 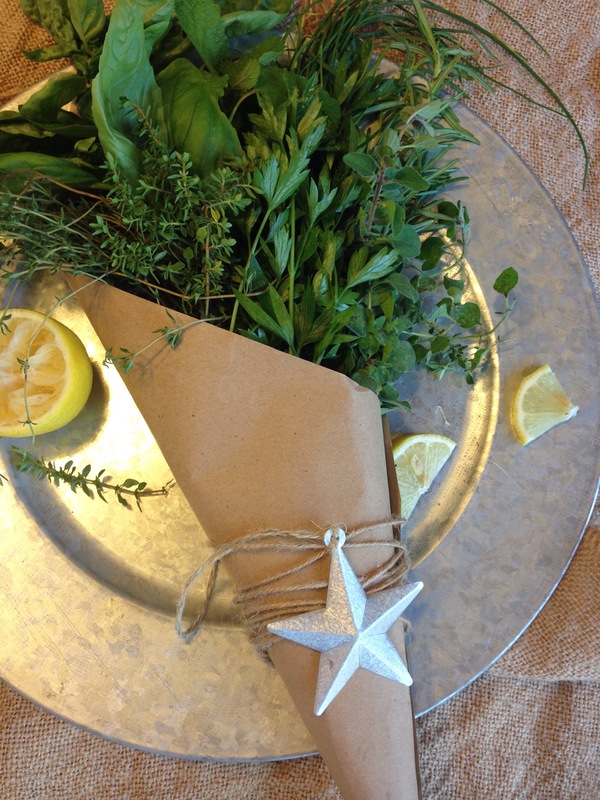 This recipe is herbalicious! Yes, I just said that! 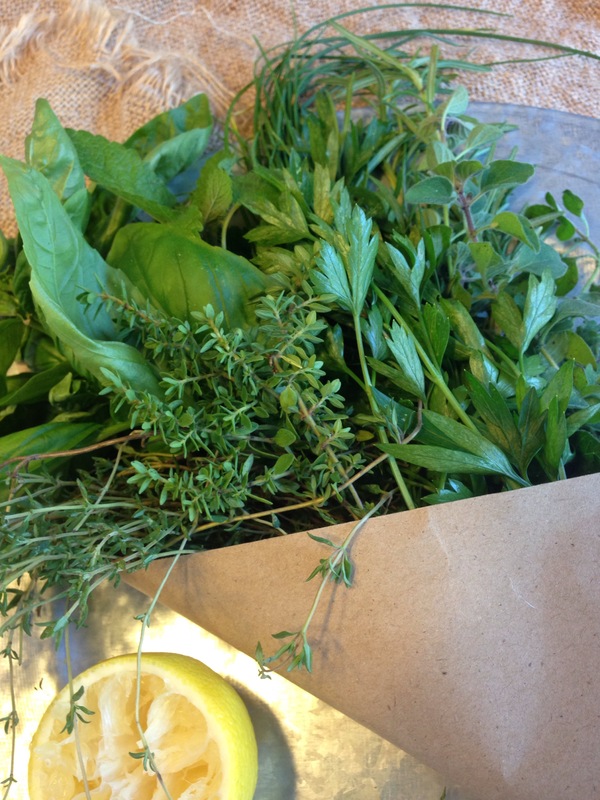 I came up with this recipe in June when my herbs started showing up in the garden and I have probably made it five or six times since. 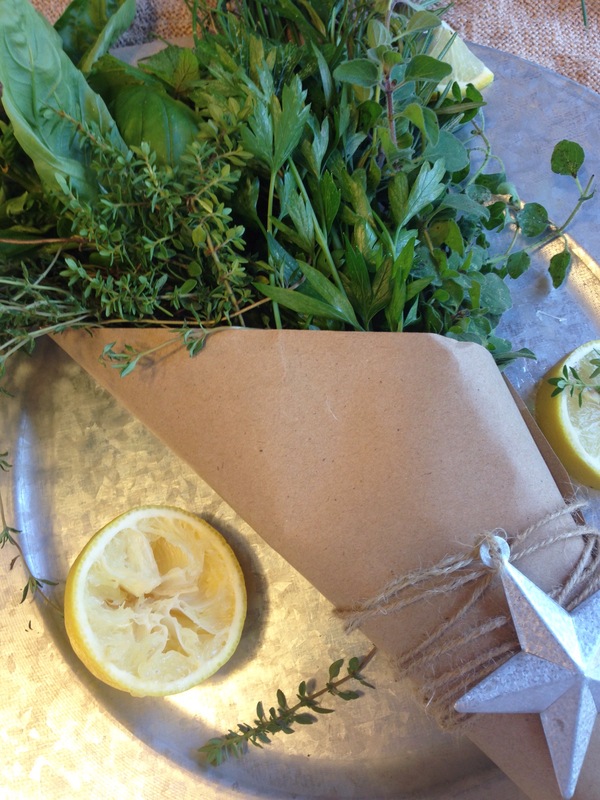 It is earthy and the lemon really compliments all the flavorful herbs. 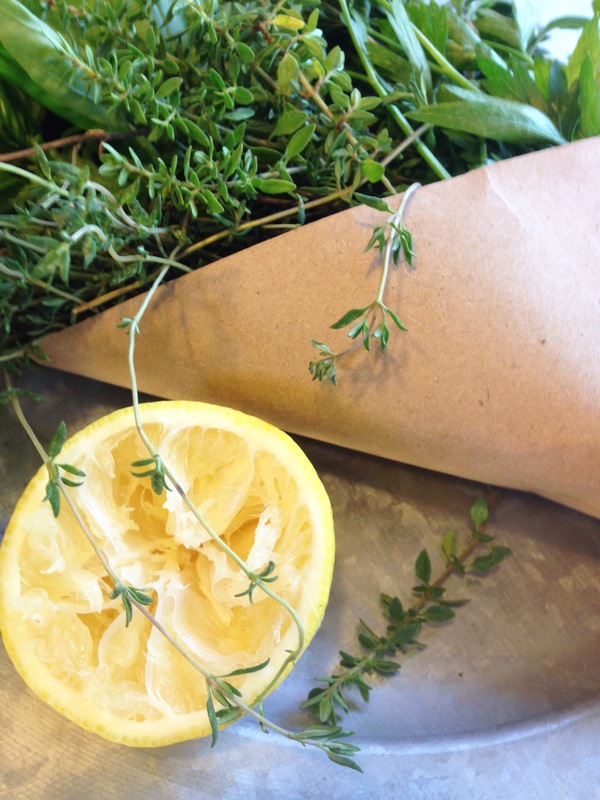 You can’t go wrong with a lemon and herb combo! If you haven’t notice you will quickly pick up on how much I love lemon in my food. It’s such a good way to add natural flavor to a dish. 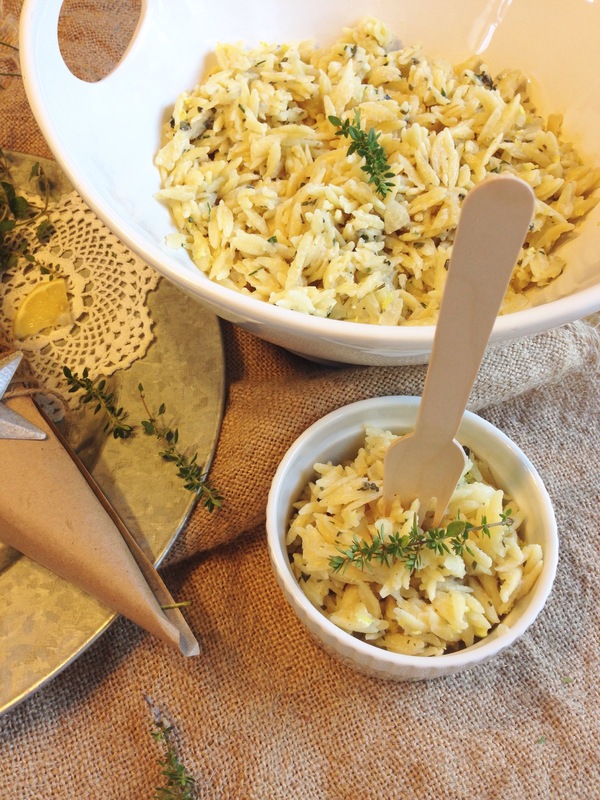 I literally put almost every herb I grow in this orzo besides mint and lavender! 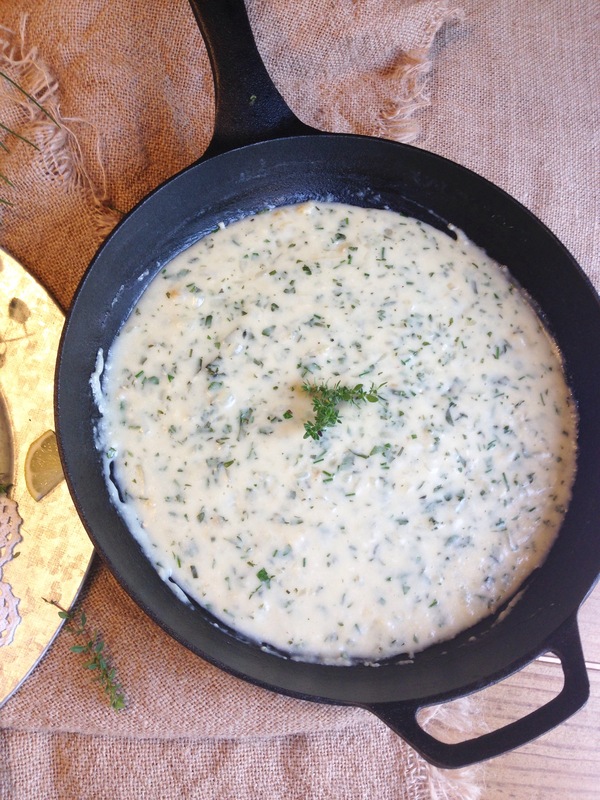 It is a quick and simple tasty side dish! You could quickly make this a meal by adding chicken, halved cherry tomatoes and pine nuts. YUM! Prepare orzo according to packaging. While your orzo is cooking saute onions and garlic in pan with butter over medium-high heat. Allowing to cook for about 2-3 minutes or until your onions are translucent. Poor milk into a measuring cup and add cornstarch to milk, whisk with a fork. Pour milk mixture into pan. Turn up the heat to high and stir occasionally until sauce thickens. This usually takes about 1-2 minutes. So stay close and don’t forget to stir, you don’t want to burn your sauce. While sauce is thickening, zest a lemon and set aside. Cut the lemon in half and juice the lemon into the pan. 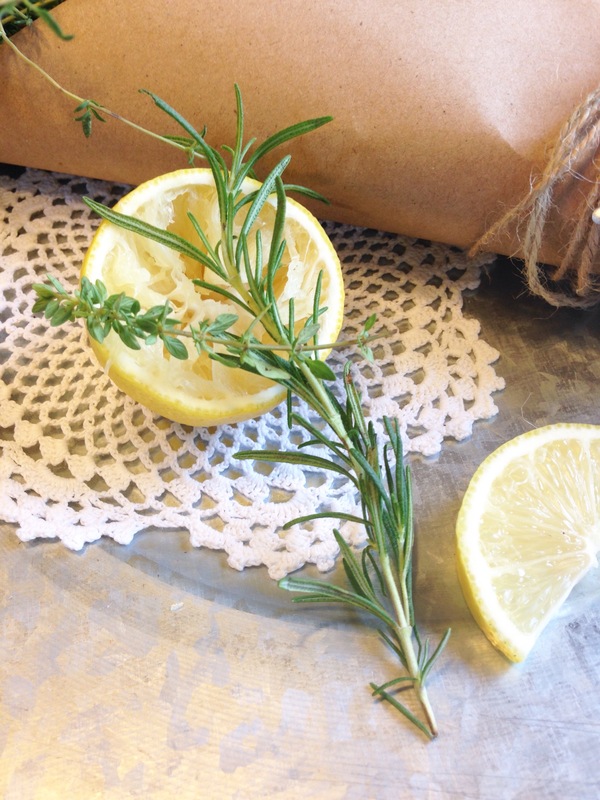 If you juice the lemon over your hand you will catch the seeds and they wont fall in the sauce. 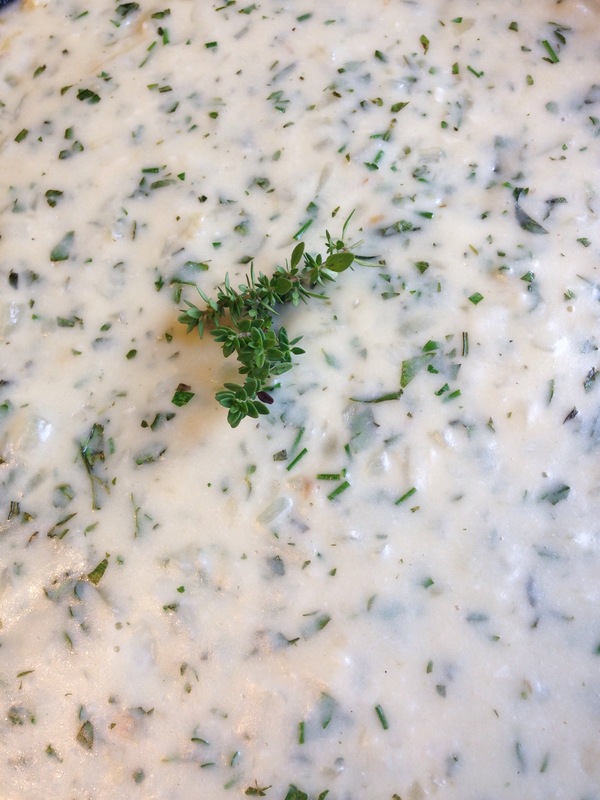 After sauce has thickened turn back down to low heat and add chopped herbs. Allow sauce to cook on low heat for another 5 mins this will allow for the flavor of all those aromatic herbs to really come out in the sauce! Remove sauce from heat and drain orzo. 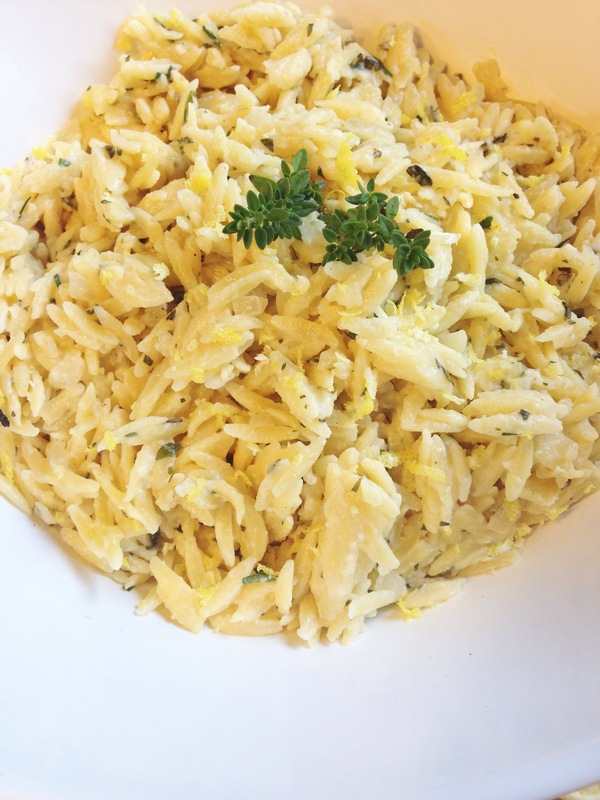 Fold orzo into the sauce pan, stirring until the orzo is nicely coated in the sauce and add half of the lemon zest . Pour orzo into serving bowl and garish with the other half of the lemon zest. Serve hot. This recipe yields about 6-8 servings. 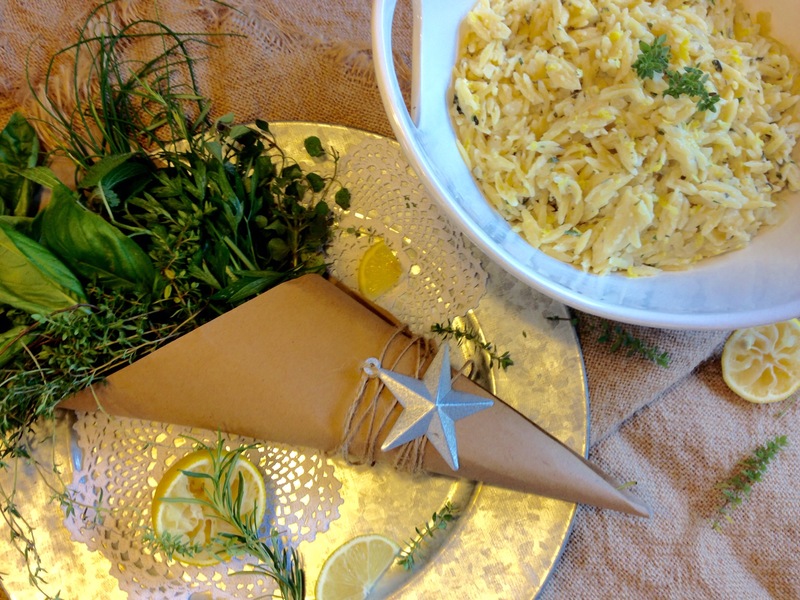 This creamy lemon herb orzo is full of savory fresh flavors. 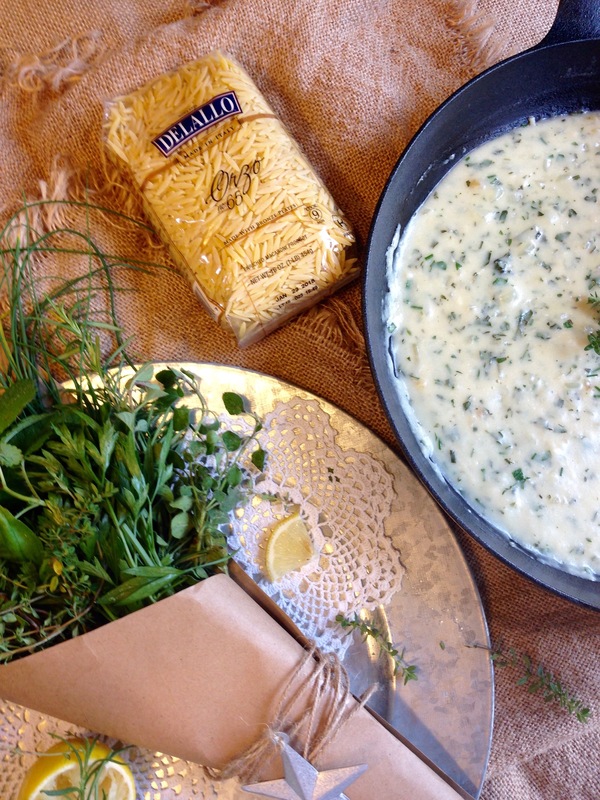 I love this dish because even though it is a creamy pasta the herbs and lemon give it a sort of lightness. 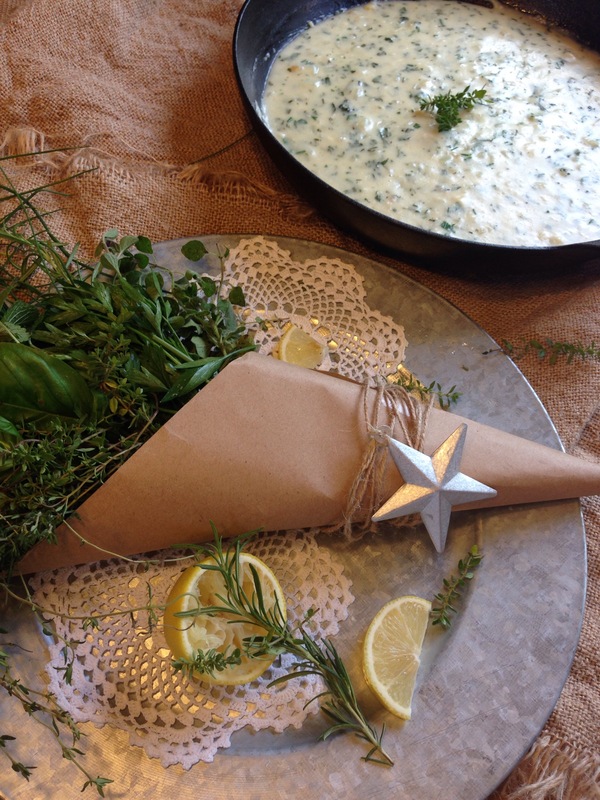 So the next time you have a bundle of delectable herbs in the garden or are looking for a nice side dish to brighten up a lunch or dinner you must try this recipe! It is so tasty! You are sure to love it!